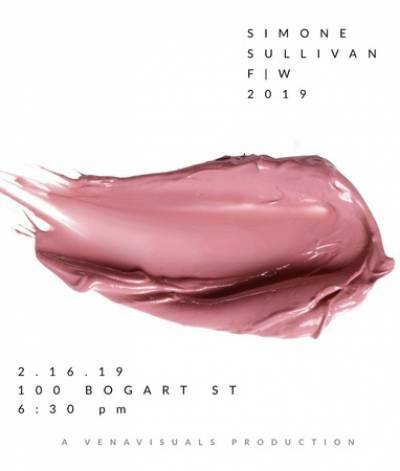 You're invited to Simone Sullivan's second solo show presenting her Fall|Winter collection on February 16th, 2019. Simone continues to find inspiration in personal and cultural experiences. Through her collaborative efforts, she hopes to push boundaries and promote the advancement of people of color within the fashion industry. Her latest collection features a light and airy palette and a twist on a familiar print. This will be a great networking event to meet other fashion enthusiasts such as yourself! We look forward to you joining us for a night of designs, music and complimentary refreshments!